Happy Halloween, Strikers! 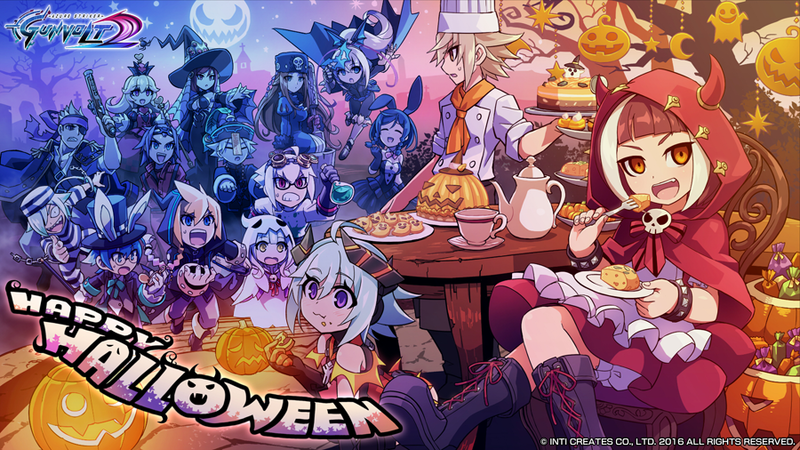 A few weeks ago, we held a contest on our Facebook and Twitter to determine who fans around the world would want to see featured in our new Gunvolt 2 Halloween wallpaper, and here is the amazing result! Gunvolt – You’re a Wizard, GV! You can download the wallpaper from the official Gunvolt 2 website!